Learn the science behind the common incandescent light bulb. 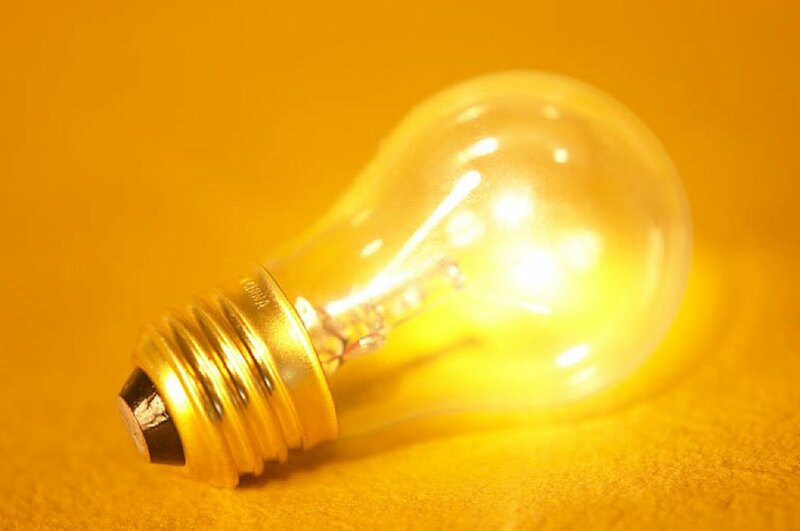 This article explains how incandescent bulbs work, and whether you should choose them as a light source for your home. When you talk about lighting, most people think in terms of the more familiar incandescent bulb. But not too many of us have explored the mechanics of the good ‘old light bulb! The bulb either has a vacuum inside or is filled with a mix of argon and nitrogen. If any water or oxygen is present inside of the bulb when it is turned on, the filament fails within seconds. The pressure inside is slightly lower than the surrounding air when the bulb is cold (turned off). That’s why they pop when you drop them. When the bulb is fully warmed up, the pressure inside is about the same as the surrounding air. The bulb uses soda lime glass. This is a “soft” glass, and it cannot tolerate large differences in temperature. A drop of water on a hot bulb will make it shatter. For comparison, automotive sealed beam headlights are made from a “hard” borosilicate glass, which is similar to Pyrex (TM). Borosilicate glass is more expensive than soda lime glass, but can withstand large, rapid changes in temperature. Incandescent bulbs are inexpensive to buy, but they have a short life (only a few hundred hours) and use a lot of electricity. do the math. If you plan to use the lamp for several thousands of hours, you will save money by using a more efficient light bulb technology. Incandescent bulbs noticeably darken over their useful life. The tungsten wire evaporates slowly, and the tungsten is deposited on the glass wall. The inside of the bulb slowly develops a coating of metal, which reduces the amount of light that can get out. The larger the glass bulb, the less noticeable the effect. Very small bulbs, like those used in automotive taillights and the even smaller ones in dashboards, develop a silvery appearance inside the bulb by the time they fail. This entry was posted in Home Lighting and tagged coil, filament, glass bulb, incandescent, incandescent lighting, light, light bulb, lighting, soda lime glass, tungsten wire. Bookmark the permalink.